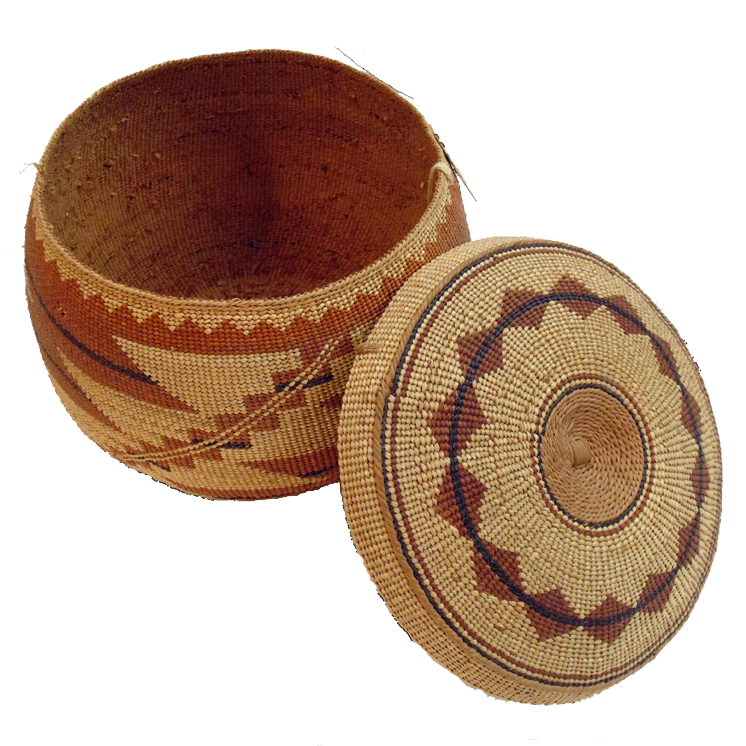 Karuk Basketweaver Brittany Souza. Her baby basket is made of Hazel Sticks/ Sarip (Black): Maiden hair fern Yumaareekritapkir and Bear Grass (White): Panyurar. Brush Dance at Katimiin, 1974?